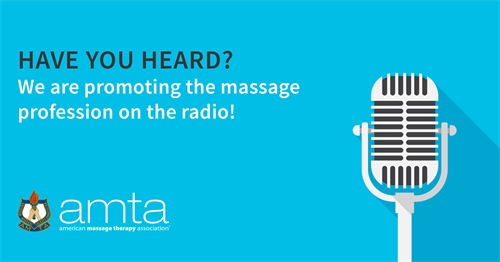 In honor of our 75th anniversary, the American Massage Therapy Association (AMTA) has launched a nationwide radio advertising campaign to promote our members and the massage therapy profession! The radio spots are on a variety of radio networks, such as I-Heart Radio Countdown with Mario Lopez. Because of the nature of the radio networks targeted, and reaching 1,400 stations, virtually every part of the U.S. will be covered. 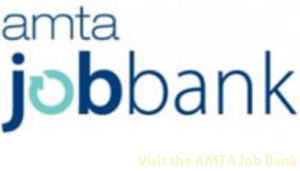 List your massage practice on AMTA’s Find a Massage Therapist® national locator service or update your School’s profile on AMTA’s Find a Massage School locator Service. Whether you already have your own website or not, it’s still beneficial to list your massage practice or school profile to take advantage of AMTA’s regular advertising. If you work for an employer you can still create a profile! Just use your employer’s contact information and tell clients to ask for you when booking.